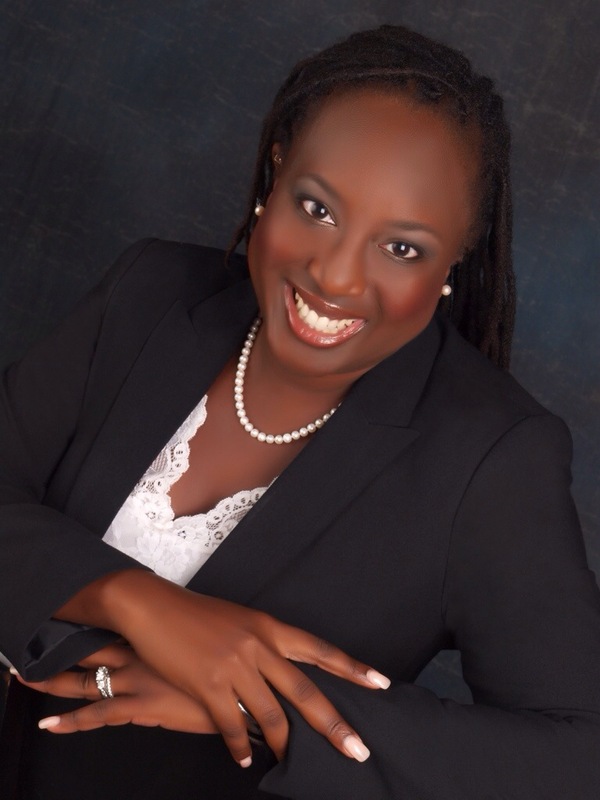 The RLD Black History Month segment continues with our Legal Divas of Color. Black history is always evolving, with people of color breaking barriers and challenging stereotypes. Often when folks think of millennials, they think of a spoiled generation who lives at home for as long as they can. Jasmine Twitty challenged that perception by becoming the youngest judge in South Carolina history in August of 2015. At the age of 25, she has reached a goal that, as many can attest, others have spent their lives pursuing with no success. Judge Twitty is a Greenville, South Carolina native. She graduated from the College of Charleston with a degree in Political Science. Before ascending to the bench, she was a court clerk in Greenville’s 24 hour bond court. She worked nights and weekends, learning about the court system. In 2011, she decided that becoming a municipal judge was the path for her. As she put it in an interview with Jenna Regan of the blog “Smart Girls”, she became intentional about her goal. She sought a judicial appointment in the town of Easley, South Carolina. In South Carolina, the city council is the body that appoints judges for the municipal court. It is not required that one be a lawyer, or a resident of the town in which they seek appointment. After going through the interview process (which can be quite intense), she finally attained her goal in 2015. As a non lawyer, Judge Twitty had to complete a training program, and pass a certification exam. She will have to take continuing education courses, and be re-certified every eight years. See the interview Judge Twitty gave to local television station WSPA a few months after her appointment. At the end of the day, you have to go for opportunities, and not self deselect. So many times women, especially women of color, put extra requirements on themselves in addition to the qualifications they already have. “I’ll be ready to apply x position after I do xyz“. She may be overqualified, and yet she is still doubting herself. Others fall into the trap of “I need to wait my turn”. Judge Twitty is the perfect example — if you want it, go for it! Best of luck to you Judge Twitty, and thank you for being a Legal Diva of Color! I’ve stayed pretty quiet in recent weeks, absorbing all that has been going on. One thing is incredibly clear; education is needed on both sides. If we don’t know the rules that govern us, as well as our past, we are doomed for the future. If we don’t understand each other, we are doomed period. So here is Part 1 of my series entitled “Knowledge Trumps Racism” — because as Dr. Martin Luther King Jr said, knowledge is power. I start from a historical perspective — David Ovalle from the Miami Herald wrote a very thoughtful piece on the last time a police officer was indicted in Miami for a shooting death in the line of duty. It was 25 years ago last Sunday, and left a long legacy. In a city long torn by racial tension, a uniformed police officer fatally shot a black man. Days of upheaval and rioting riveted the nation. A series of investigations scrutinized the officer’s use of deadly force. He claimed self-defense. Would the cop face criminal charges? The case that exploded in Miami in 1989 still resonates today, echoing the murky, racially charged confrontation that has put a 24/7 media spotlight on the small Missouri town of Ferguson. Twenty five years ago Sunday, after a trial that lives on in local legal lore, jurors convicted Miami Police Officer William Lozano for shooting and killing a motorcyclist. It was the last time any police officer in Florida was convicted for an on-duty shooting. It’s rare that you get a front row seat to watch history happen. Yesterday, I had the honor and privilege of watching Judge Darrin Gayles become the first openly gay African American male judge on the federal bench. This event, called an investiture, was filled with the Judge’s friends, colleagues, and certainly did not disappoint. I’m not a huge fan of labels– I’d rather call him what he is. A smart, kind, funny, person; an uber qualified judge, who gives back to the community. But, that’s not the world we are in. We focus on labels. Knowing this, what does one do? You do like Judge Gayles, embracing it and turning it into a positive. In a very emotional speech, he outlined his path from humble beginnings as a son of a young widow in Peoria, Illinois to history making judge. He worked hard, maintaining full time employment and going to school. He had great role models (which is why he volunteers time to mentor young men in the community). Judge Gayles was a state and federal prosecutor, then became a state judge in the 11th Judicial Circuit of Florida (consisting of Miami Dade County). 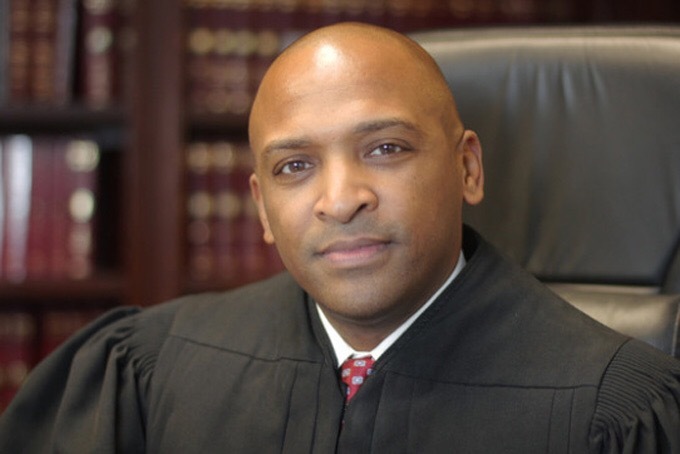 President Obama nominated him early this year to be a federal judge to the Southern District of Florida. Judge Gayles was confirmed by the Senate 98-0, clearing the way for the historic event. What really struck me was when he said ” there is a difference between living your life openly, and living your life publicly“. He was openly gay, and it was not really a big deal day to day in his world. But when he went through the confirmation process, his entire life became public. The fact he was a gay man seeking confirmation as a federal judge became international news. But in that moment….he became a role model to so many more people. Judge Gayles told a story about how he was out one night, and a young woman, having recognized him, ran up to him, and tearfully told him how much his journey had inspired her to live openly in her truth. It was a wrap for me. Thank heavens my mascara was waterproof. Congratulations Judge Gayles. Keep rising, keep shining, and keep reaching back to inspire others!